Printed up a few wing sections. Gotta say I'm pretty happy with how they turned out, so I pulled the trigger on the full version plans. I have a motor that should work and it uses 9g servos, so why not? Sweet! I may have to try one, I have so many parts in my junk box. Check out this eclipson, I'm going to use the motor I had on the sky hunter. Still, i think this thing may actually fly. If anyone needs it, I ordered plenty of the 2mm wire for the landing gear. Also some linkage stoppers. 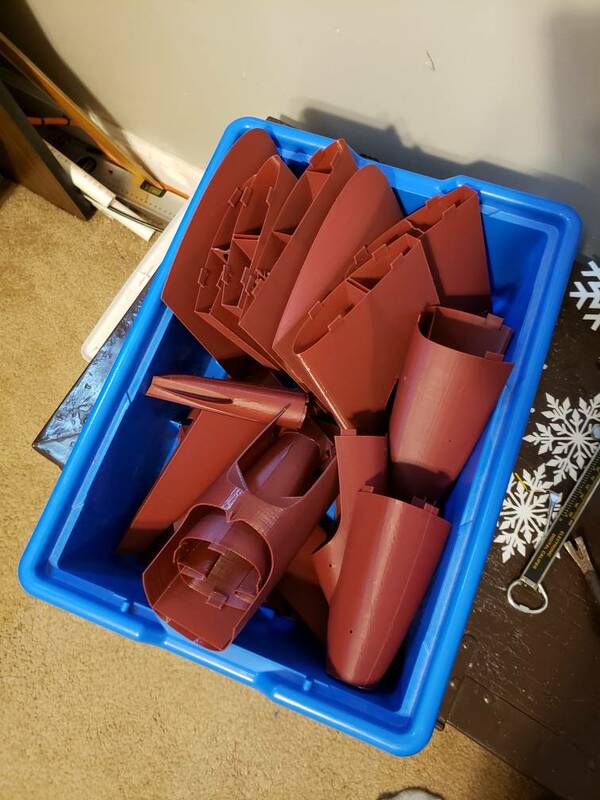 I wouldn't mind trading either (or both) for a few extra servos since I plan on printing up another of these, or maybe one of the other models. Third times a charm! Gluing in the last tail section is a PITA, it is hard to get in place and straight before the glue dries. Finally got it right this time, and finished the landing gear. Now I just need to attach the control surfaces and mount the servos, etc.